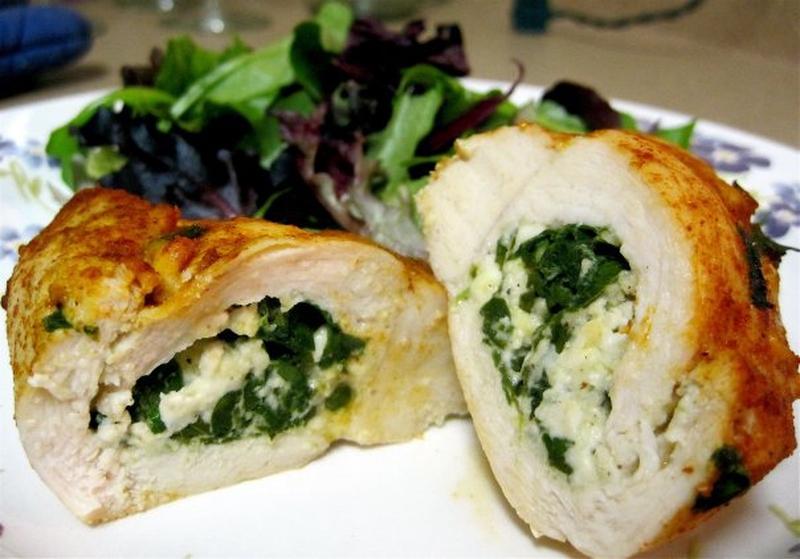 Having spinach present in it, this chicken recipe offers equal portions of health and taste to a weight conscious person and allows him to enjoy chicken without fear. Skinless chicken breasts (boneless)8 oz. 1. Heat olive oil in a large skillet. 2. Sautee onions for 5 minutes until they turn golden. 3. Steam the spinach in pan. Stir in feta cheese, lemon zest, pepper and salt and set it aside. 4. Spread the spinach mixture on all of the chicken breasts equally then roll them up and secure them with a toothpick. 5. In the skillet, heat the unused oil at medium-high heat. 6. Cook the chicken for 10 minutes until it turns golden brown and is completely cooked. Now remove toothpicks. Server responsed at: 04/18/2019 10:27 p.m.